A beautiful little book from one of the more inspired creative talents on the Chicago scene – writer/artist Dmitry Samarov, who's always got a talent for getting to the heart of the city – and for being very open about what matters, and why! 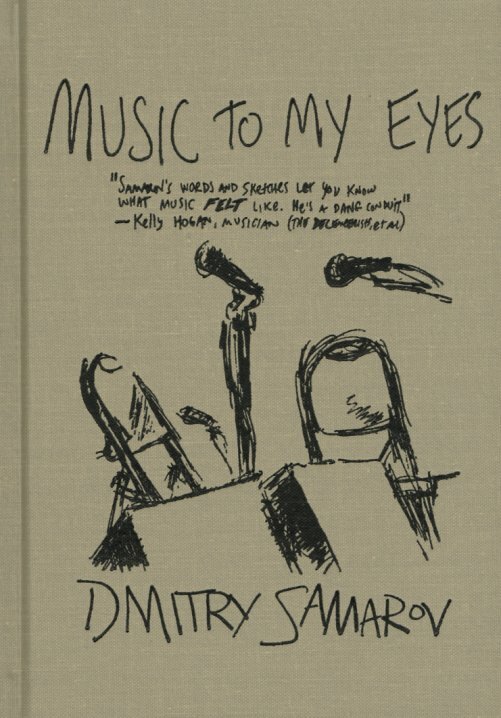 This book is Dmitry's love letter to the Chicago music scene – and maybe music in general – and the volume mixes both Samarov's drawings and words, as he makes his way through shows, clubs, bars, and other points in the Windy City – all while also stopping to take us further back in time, to sounds that inspired him at an earlier age – all with a voice that's very honest and down to earth, and a bit of a change from the usual rock criticism you might read. The hardcover book looks like a little sketchbook, but it's much bigger than that – over 250 pages, with drawings throughout – covering subjects as wide-ranging as Peter Brotzmann, Neko Case, Mavis Staples, Marc Maron, James Blood Ulmer, David Yow, Handsome Family, Low, The Gories, Silver Jews, Joe Jackson, Rob Mazurek, Eleventh Dream Day, Mekons, Evan Dando, Shellac, Mission Of Burma, and countless others – including some film and literary talents as well. © 1996-2019, Dusty Groove, Inc.